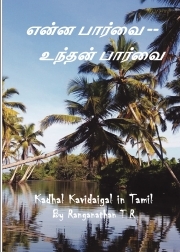 Description of "ENNA PAARVAI - UNDAN PAARVAI"
The Author is a Retired Bank Manager. He has worked for a public sector over 40 years and resides in Bangalore, India. Reviews of "ENNA PAARVAI - UNDAN PAARVAI"